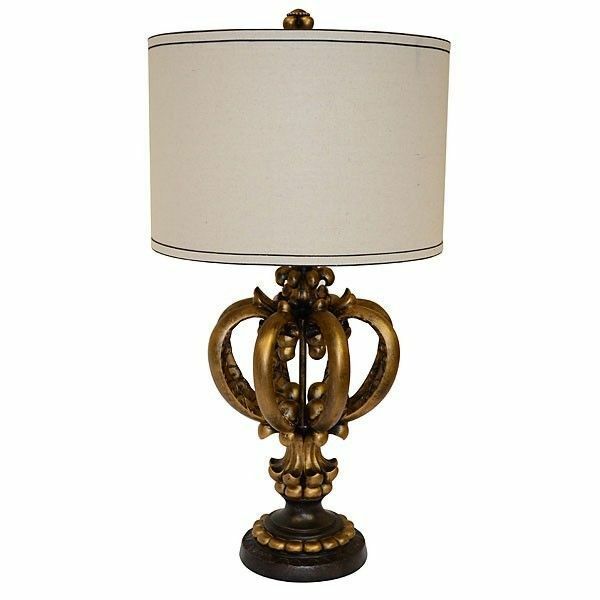 AWESOME GOLDEN QUEEN CROWN TABLE LAMP,16''DIAMETER X 31''TALL. Home » marciatreasures' booth » AWESOME GOLDEN QUEEN CROWN TABLE LAMP,16''DIAMETER X 31''TALL. UP FOR YOUR CONSIDERATION THIS BEAUTIFUL QUEEN GOLDEN CROWN TABLE LAMP. IT MEASURES, 16''DIAMETER X 31''TALL, LAMP SHADE IS INCLUDED. GREAT ELEGANT AND UNIQUE ADDITION TO ANY ROOM .THANKS FOR LOOKING!